The dollar traded mixed against the other G10 currencies on Wednesday. 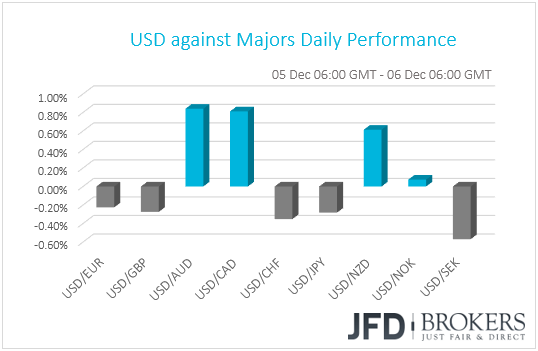 It continued to gain against the commodity-linked currencies AUD, CAD and NZD, while it underperformed against SEK, CHF, JPY, GBP and EUR, with SEK gaining the most after Sweden’s industrial production for October accelerated notably in both monthly and yearly terms. The greenback traded virtually unchanged against NOK.